No matter the season I still adore a good bronze and highlight it's just something that has become a staple for me. Seventeen is a brand that has stood out a lot to me this year, trying numerous amounts of their products throughout and enjoying every single one. They have fastly become one of my all time favourite drugstore brands so it's of no surprise that I have recently been loving another one of their products! 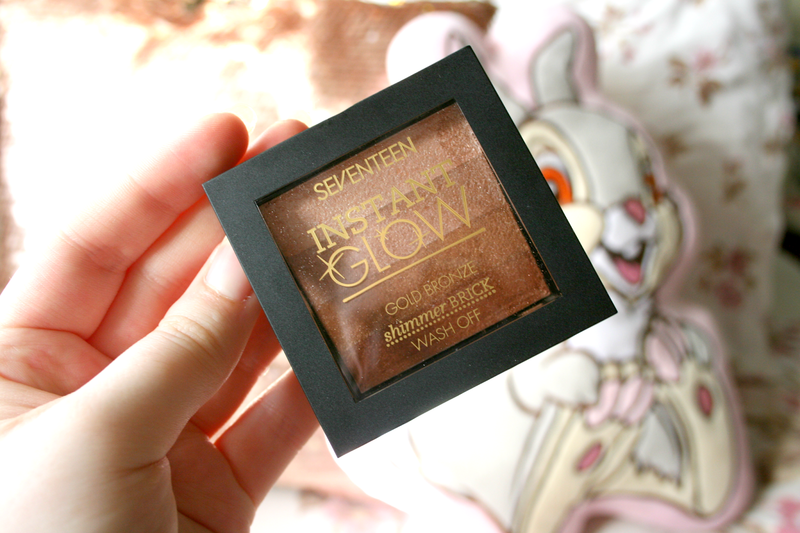 The Seventeen Instant Glow Gold Bronze Shimmer Brick* has been something I haven't put down since it came through my letterbox. Consisting of four gorgeous shades you can wear them separately or swirl your brush around in all of the colours and wear like that. 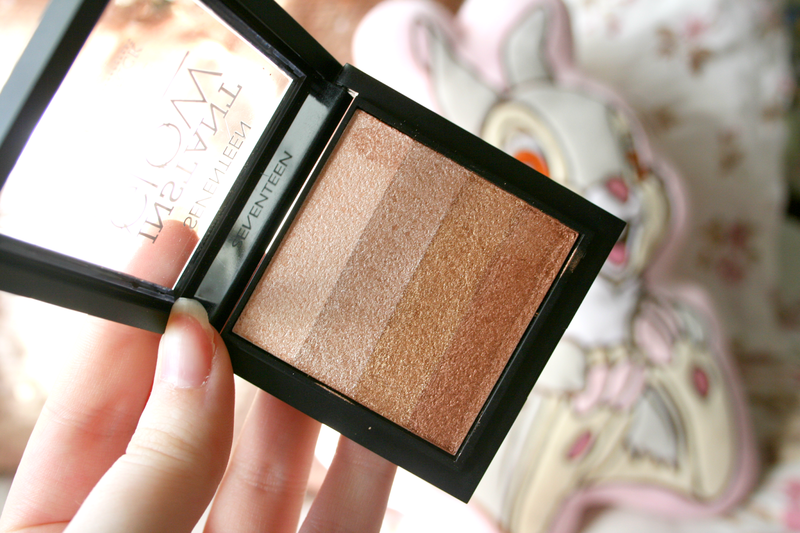 This is definitely a multi use product as you can use it as a bronzer, highlighter or an eyeshadow! Personally I love a gorgeous bronzy glow and so this was absolutely perfect for that. I did tend to use the two darkest shades and just swirl a small brush in both colours and apply to my face. Both colours mixed was the absolute perfect combination and I have basically been obsessed with the look it creates. For a highlighter I've simply been swirling all colours together and applying to my cheekbones. Again just like the bronzer the colour pay off this gives is absolutely beautiful. The shine/glow it gives is honestly my favourite thing ever. When it hits the light you have the most gorgeous peachy-bronze glow I have ever seen! Finally as an eyeshadow palette its simply amazing. 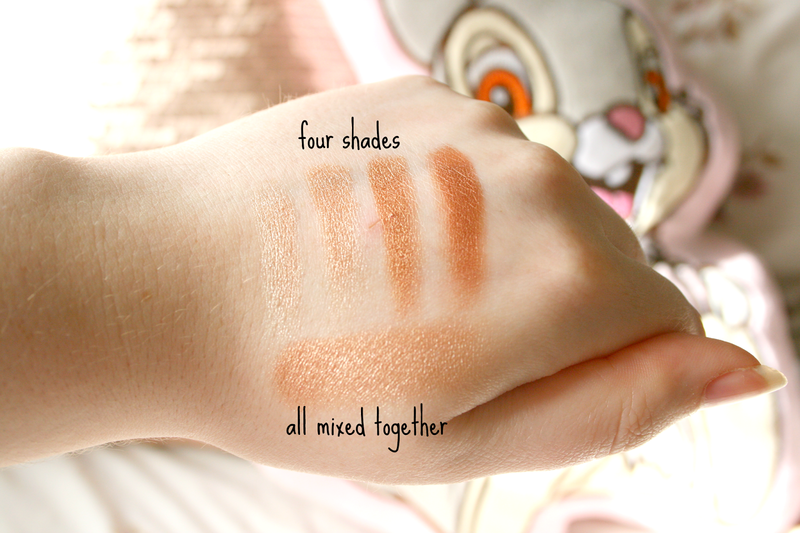 The shades are so buttery and pigmented, it works and blends like an absolute dream. For just €6.99/£4.99 it's definitely a product I would 100% recommend due to it's many uses. No matter what way you use it, it gives a beautiful result and I promise you won't be disappointed! This looks gorgeous! They would make incredible eyeshadows as well! This looks stunning, going on my wish list! Not into glitters but this is an exception!